OWENSBORO, KY – Music and science will be masterfully combined when Troy Quinn and the Owensboro Symphony return to the stage of RiverPark’s Cannon Hall on Saturday evening, April 21, 2018 for their final performance of the Symphony’s 2017-18 Season. The 7:00 p.m. performance entitled Cosmic Convergence will transport the audience to the edge of the universe through a full-sensory concert experience, accompanied by high-definition videos and celestial images. Striking images of Jupiter, Saturn and the solar system into interstellar space will be projected on a giant screen behind the orchestra. It’s another special event the entire community will not want to miss! The audience will experience the Great American Eclipse of August 21, 2017 from beginning to end during the orchestra’s performance of Strauss’ Introduction (Sunrise) from Also Sprach Zarathustra. Kentucky Educational Television (KET) was in Hopkinsville, Kentucky that day to capture the complete eclipse for re-broadcast on PBS’s NOVA that evening. That same footage will come alive on stage as the Symphony performs this opening fanfare most commonly known for its use in the film 2001: A Space Odyssey and the opening fanfare to Elvis Presley’s shows from 1971 until his death. The first half of the concert will conclude with a performance of Jupiter from Gustav Holst’s, The Planets featuring projected imagery clips from the PBS documentary, The Farthest. “We are so excited to have been given permission to utilize footage from The Farthest, which most recently was named Best Feature Documentary at the Irish Film & Television Awards,” said Dan Griffith, CEO of the Owensboro Symphony. “This documentary, as seen on Netflix, tells the amazing true story of the iconic Voyager space mission. The footage is outstanding and will be very visually stimulating when presented with the Symphony’s high definition projection system.” Footage from The Farthest feature documentary courtesy of Crossing the Line Productions. Following intermission Troy Quinn and the Symphony will return to stage for a rousing performance of Mozart’s Jupiter Symphony, regarded by many critics as among the greatest symphonies in classical music. 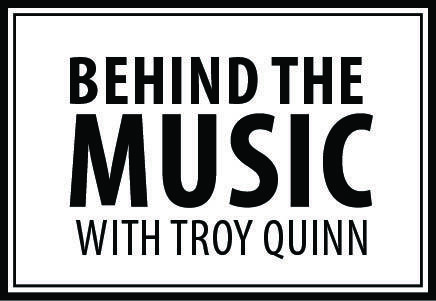 At 6:1 5 p.m., prior to the 7:00 p.m. symphony performance, Troy Quinn will host Behind The Music With Troy Quinn. He will be discussing not only the music on the program but taking an in depth look into what it is like to play in the different sections of the orchestra. He will also be sharing some secrets about the recording process on both Star Wars and Star Trek pieces. Come go Behind the Music with Troy at 6:15 before the concert! Tickets for the Owensboro Symphony’s April 21 Cosmic Convergence performance range in price from $35.00 to $45.00 . Student tickets are $10.50 each. Tickets can be purchased by calling 270-687-2787 or through the RiverPark Center Box Office, located at 101 Daviess Street. The box office is open from 9 a.m. to 4 p.m., Monday through Friday, 10:00 a.m. to 2:00 p.m. Saturday. The box office re-opens at 5:30 p.m. prior to the Symphony’s 7:00 p.m. performance.